Soooo...we made a movie! Well...more like a short tribute to gialli...but, still...we're on IMDb now. For years now I've been itching to make a film of my own. Nothing fancy...just something to test my knowledge of all these amazing films I see every day and create a piece of my own art for people to see. I've written so many treatments and scripts of stuff that I put aside as a promise to myself that I will make one some day. Something that would at least give me a better understanding of the filmmaking process involved in all these films that I review all the time. Well...this past March I reached out to a good friend of mine named Nathan Waters...and the journey began. Honestly, I really only meant this whole thing to be a 30 second video shot on my iPhone promoting an upcoming event where we are serving free gelato and screening some gialli classics. But, the more that I spoke to my friend Nathan...the more he convinced me to turn this into a short film. So, I wrote a script, asked my friend, Thomas Drew, to start designing a cool movie poster and Nathan put out an ad for auditions for the leading role of "Aria". That's where we met Jess. If you look up Jess Ferrone on IMDb...there isn't much attached to her name. In fact...it's pretty much Gelato Giallo and the 2012 film called Waterwalk. That's it. However, it is with the utmost sincerity when I say that she should really be in so much more. There was a moment in her audition tape when I knew deep down inside that it was going to be her. It was a subtle look. The kind of look that only seasoned actors have inside their soul. I can't really explain it...but, it was there...and I saw it. I gotta say, tho...her Italian last name definitely helped her win the role, as shallow as that sounds. I thought of how cool it would be to have an Italian name in the credits of a giallo film. And so there it was. Nathan and I decided on Jess. And then I met her. God...what a breath of fresh air she was. She researched all these great classic films and even studied Edwige Fenech's make-up strategy for the role! I ended up re-writing the ending of my script because of her. BRYAN: So, how did you first come to hear about this Gelato Giallo project? JESS FERRONE: I found an audition notice for the film on a website called "Actors Access" so, I applied for an audition through the site. BRYAN: Very cool! What attracted you to the role? Are you normally a fan of horror films like these? JESS FERRONE: I was interested because it introduced me to the whole genre of giallo films, which I didn't previously know very much about. I do enjoy horror films but I enjoy suspense more than gore and thought this project also fit that glove, as well. BRYAN: Haha...great pun there, Jess! Did you find a favorite giallo during your research? JESS FERRONE: It's hard to pick favorites but, I did really enjoy The Bird with the Crystal Plumage. BRYAN: God I love that one! Funny...because Bird totally inspired that new ending that I wrote after our first meeting. JESS FERRONE: Ah...that makes sense! I'm a total sucker for a good twist ending. BRYAN: How was your experience shooting the film with that amateur director hovering around you? JESS FERRONE: Wait...what amateur? Where?? BRYAN: *laughter*...you are very kind. JESS FERRONE: I'm serious. Gelato Giallo was a very well-run and directed project from beginning to end! Tip of the hat to you, sir. BRYAN: Well...thank you for that. I kind of got a little nervous when we finally went in to shoot the damn thing. As a lover of all genre of film and this specific one, I wanted this to go smoothly and look as amazing as possible. I kind of felt like I was a little in over my head for a moment there...*laughter*. JESS FERRONE: You did a fabulous job! Are you planning to continue directing any more films in the future? BRYAN: God! It's so addicting! I don't wanna say too much about everything right now...but, let's just say that I'm planning a supernatural one next...and then back into Italian territory after that. 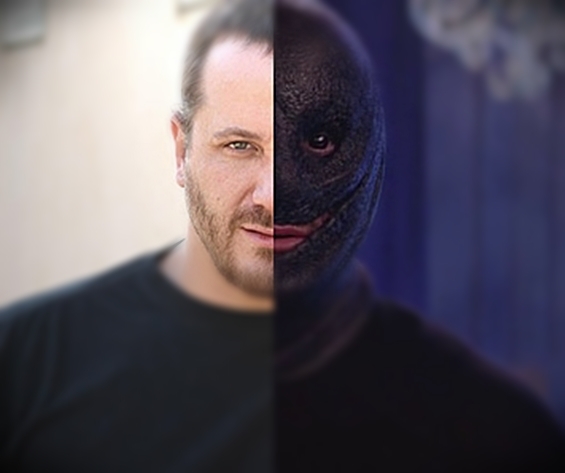 Hopefully, both starring the super-talented Jess Ferrone. JESS FERRONE: *laughter* Aww, shucks. Well...that sounds super exciting. BRYAN: It will be...I promise! So, what did you take away from this crazy Italian murder/ice cream experience? JESS FERRONE: Well, I definitely learned more about all the neat little tropes that appear in this particular style of film. Masked villains, twist endings, the risks of drinking J&B whiskey...and...also that working with fake blood is absolutely hilarious! BRYAN: Very nice! *laughter* Then you're gonna love our next collaboration! 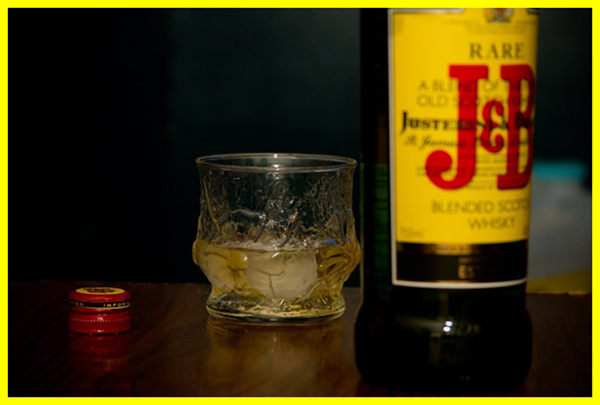 Do you have any upcoming projects yourself beyond the premiere of our little giallo film? JESS FERRONE: I've been working on a few commercial and print spots for the web that should be coming out in the next few months. Would love to do another film soon tho! BRYAN: And you will, my dear! I'm gonna try to have you star in some of mine before you make it big. Again, Jess...THANK YOU so much for going to the audition that one fateful day...and I look so forward to working with you again soon! JESS FERRONE: Thank you, bryan! 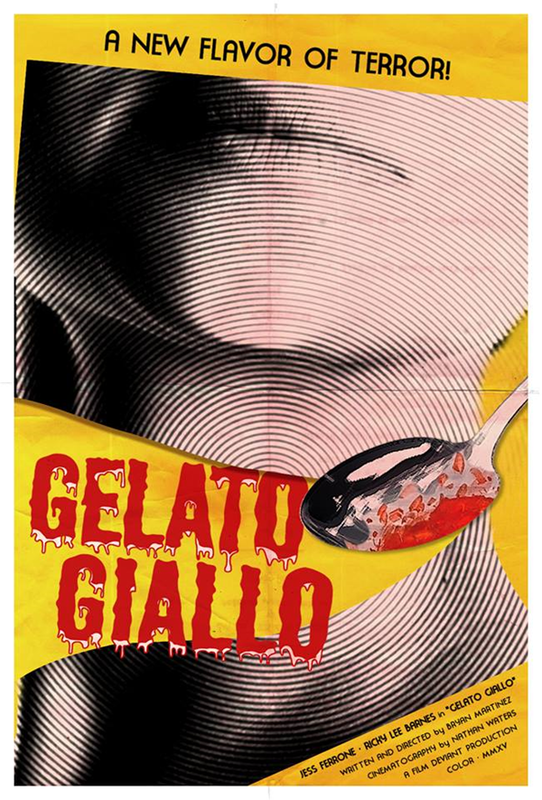 Gelato Giallo is a New Flavor Of Terror. Starring Jess Ferrone as "Aria", a fashionista who is having a bad day...and it's about to get even worse. She caught her boyfriend "Stefano" (Ricky Lee Barnes) cheating on her earlier in the day with her best friend "Suzy" (Rachel Claire) and all she wants to do is get home and enjoy her delicious gelato. Instead, she finds a killer lurking in the shadows. 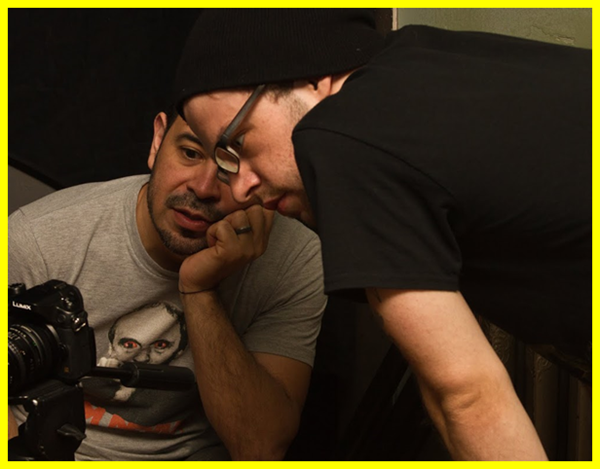 Written & Directed by Bryan Martinez and Shot & Scored by Nathan Waters, Gelato Giallo is a Film Deviant and Into The Void production coming July 2015. Thank you for watching.